A £1 million plastics recycling facility (PRF) has been opened by Centriforce Products at its six-acre site in Liverpool. The new facility will recycle HDPE, LDPE and PP and has been built to guarantee feedstock for its high-performance recycled plastics products. The new facility is the culmination of a £2 million programme of expansion at Centriforce which has seen the company double its production capacity to more than 10,000 tonnes per annum in the past four years. Centriforce supplies recycled plastic sheets, boards and profiles including its Stokbord brand to the agricultural, construction and retail sectors. Centriforce managing director Simon Carroll said: “Centriforce has taken the bold decision to develop an in-house capability for sorting mixed plastic waste feedstock. We are still only one of a few UK recyclers to take this course, but we believe it is important to invest in a long-term solution. 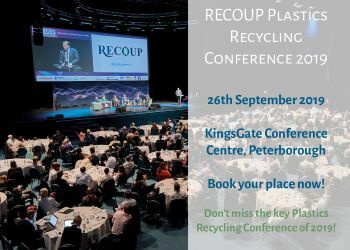 “The UK recycled plastic industry can play a key part in generating demand for mixed plastic waste streams from municipal and industrial sources, thus contributing to UK landfill reduction targets. The new PRF will sort pre- and post-consumer mixed plastic waste streams from a range of sources including the retail and construction industries, and prepare a quality feedstock for production.